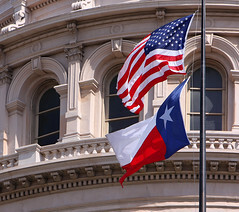 Back in mid-June, Texas's new anti-SLAPP law finally took effect. (Since the bill passed both houses of the Texas legislature unanimously, it took effect immediately when Gov. Rick Perry signed it.) The CMLP's legal guide is updated to reflect the new statute. We're pleased to announce that we have updated the CMLP Legal Guide on the District of Columbia's anti-SLAPP law to incorporate its brand new anti-SLAPP statute that came into effect on March 31, 2011. A SLAPP, or "Strategic Lawsuit Against Public Participation," is a lawsuit filed in retaliation for speaking out on a public issue or controversy.